Whether this is your first home of one of many moves in your lifetime, decorating your new pad is the most exciting part of moving. 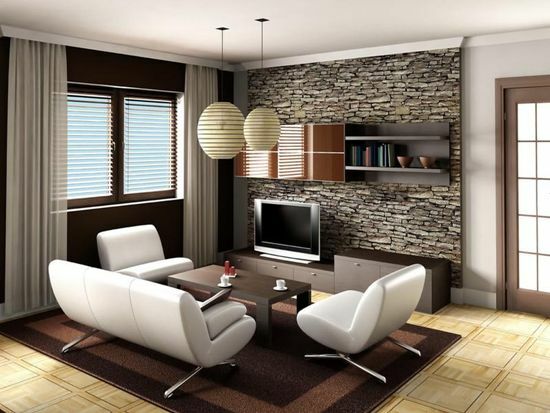 However, it can be daunting to design a room entirely from scratch. When choosing the decor of your living room, it is imperative to keep function at the front of your mind: this is your room for working, for relaxing, for reading, for napping, and for entertaining friends and family. 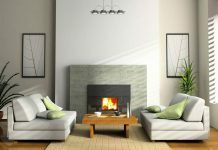 If you’re stuck on where to start, here’s a guide to choosing key pieces of furniture to put the ‘fun’ in a functional living space. A comfy sofa is the cornerstone of every living room. A television, coffee table, bookshelf pales in comparison to the importance of a couch – this is where you sink at the end of a hard day, spend hours chatting with friends and family, and fall asleep on a lazy sunday. When shopping for a sofa, go to a show room to try out different models and establish your needs: if you have young children, an easy wash or wipe clean fabric is a necessary feature. Allergies to any materials, or different back support needs should be taken into consideration also. If you are looking for a sofa to be a long term investment, be sure to research the materials so it will last as long as possible – leather is an excellent hard-wearing option for this. In terms of shape and size, measure your living room and take photos to ensure a perfect fit when the final product arrives. Once your sofa is sorted, a coffee table is the next key feature of a living room, and fortunately there are many versatile options for every shape and size. A classic low coffee table in front of a sofa is perfect for setting a cup of tea and biscuit for an evening in, and can help tie a room together in most cases. 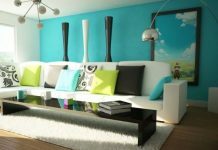 However, if you are worried about a lack of space, nesting tables or end tables are a great compromise, and can be squeezed in at either end of the sofa for easy access to the TV remote and a magazine. In terms of storage, this is the main storage unit for the room, as this will house your living room appliances – a TV, stereo, or books. 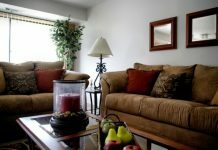 There are so many different types available, most built with a large TV in mind, but they can be adapted to your needs. A console cabinet has some storage space to house games consoles and TV remotes, and most will have enough space to add some personal knick-knacks too, such as ornaments, clocks, or photographs. 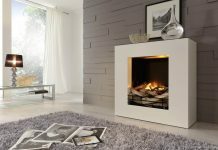 Durable and safe materials for holding a deal of weight from these appliances include wood – which additionally can create a timeless look to your living room. A bookshelf is imperative for providing secondary storage, and is invaluable in a communal room like the lounge. Bookworms can use a large shelf as a sort of feature wall to show of their favourite or most impressive titles, while a smaller shelf in the corner is great for getting rid of clutter by holding onto your DVDs and video games. If you have children, be sure to keep the age rated titles out of reach of them, and their own movies easily accessible. This helps create a sense of shared ownership in a shared room (even if it is really mum’s), and means you don’t have to get up far to look for that box set during a comfy night in.